Always sick, ever wondered why? Tired of the kids getting sick? Worried about an asthmatic in your family? Fighting a never ending battle against mould in your home? This is the product for you! Completely natural, Australian made, it kills mould, bacteria, and fungi immediately upon use. Environmental Air Solutions is the simple, effective way to clean the air you breathe when indoors. Developed specifically for use in any enclosed space (home, car, boat cabins, caravans, camper trailors, offices, linen cupboards, walk-in wardrobes, school classrooms, hotel rooms, garden sheds, refrigerators, bathrooms, bedrooms, lounge rooms, commercial air ducting systems, toilets, lockers, commercial cold rooms, aged care facilities, medical centres, backpacker hostels, basement car parks, day cares, shopping centres, gymnasiums, buses, nightclubs, garbage rooms. churches, elevators, museums, libraries, sports arenas an many etc) to kill and inhibit the growth of mould, bacteria, and fungi, without the harmful chemicals of traditional cleaners. HOW TO USE: It's as simple as spraying the desired amount of Liquid Spray onto any surface that allows mould, bacteria and fungi to grow. Allow the product to remain on the treated surface for a minimum of 2 hours prior to cleaning. Reapply if necessary. 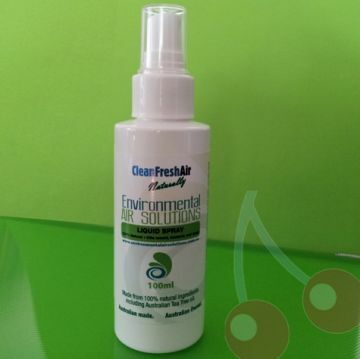 Once applied, Environmental Air Solutions Liquid Spray instantly delivers the natural antiseptic and antibacterial properties of Australian tea tree oil. HOW IT WORKS: Environmental Air Solutions is a 100% natural, self evaporating product that incorporates the amazing antiseptic, antibacterial and antifungal properties of Tea Tree Oil. Developed for indoor areas to kill and stop the growth of Mould, Bacteria and Fungi, once your container of Environmental Air Solutions has been opened and placed in position the vapour from the triple anti biotic quality Tea Tree Oil immediately starts releasing into the air. Environmental Air Solutions is NOT a product that "Masks" an odour but instead captures the cause. As the Tea tree oil used in Environmental Air Solutions vaporises it functions as a germicide by causing structural damage in the cell walls and membranes of bacteria and fungi. The damage leads to the denaturing to the cell's live components. Q: Does it work in the bathroom to stop mould in the shower, etc? A: Absolutely. The recommendation for treating existing mould particularly in wet areas (such as showers/bathrooms) is: Apply the liquid spray onto the area in question. Leave it on for a minimum of 1 hour before you wipe down or scrub clean. Within 1 hour, the mould spore/s are dead at the root level. This ensures that the mould spore/s will not multiple when they become air borne & spread to other areas. After this process has been completed, we then recommend that a suitably sized container of EAS Evaporative be used. As EAS contains no bleaching agents like traditional mould cleaning products, unfortunately there could be a bit of elbow grease involved in the cleaning process. You will find that cleaning the mould off is significantly easier though having initially sprayed with the spray. THE STORY BEHIND THE PRODUCTS (Courtesy of The Cairns Post Newspaper 04 December 2013): FINDING the cause of his son's illness has turned into an unexpected business opportunity for Cairns air-conditioning specialist Neil Jonsen, whose anti-mould, fungi and bacteria product is being snapped up by hotels and super yachts. Just 12 months ago Mr Jonsen, the founder of airconditioning and refrigeration business Cairns Climate Control, launched a self-evaporating tea tree oil-based product to eliminate airborne bacteria in indoor areas. The client list for Environmental Air Solutions started with local families and quickly spread to include the Pullman Reef Hotel Casino, Sheraton Mirage Port Douglas Resort, the Beach Club at Hamilton Island, Rydges Plaza Cairns, Balboa Apartments at Port Douglas and several super yachts. "Environmental Air Solutions was never intended as a commercial product, it was something I needed to do to protect my family." In 2006, Mr Jonsen's 10-month-old son, Nicholas, was raced into emergency after vomiting more than a dozen times in 22 minutes. "He then underwent a series of tests, but three months later I had no real answers as to why he got sick and had a lingering cough," Mr Jonsen said. "One day I wiped the side of my head with my arm then caught a glimpse of my face and realised how much black dirt I collected at work each day. "I sent a swab from my shirt and arm to a microbiologist to be tested and the levels proved to be off the Richter scale for bacteria and black mould, which I believed to be a major contributor to Nicholas's health issues. "The return-air grill for our home's ducted airconditioning was close to where I was throwing my dirty clothes into the basket and the mould spores and bacteria released from them were dispersing throughout the house." Over six years Mr Jonsen researched methods of purifying the air in his home, testing products until he devised a partially closed tub containing the tea-tree-based gel that evaporates into the air. "As the tea-tree oil vaporises it functions as a germicide by causing structural damage in the cell walls and membranes of bacteria and fungi,"he said. "Since we started using it in October last year, Nicholas, now 8, has stopped coughing and my wife, Melanie, and children Charlotte, 6, and Alex, 4, are all breathing easier." Mr Jonsen has since created a spray solution that can be used to kill surface mould at the root level. The mould can then be cleaned off safely without its spores further multiplying when they become airborne. He has been careful to keep Environmental Air Solutions as a local product by sourcing tea-tree oil from an Atherton Tableland farm. The tub is made in Sydney,but a Cairns plastics specialist modifies the container lids. "The product is often met with scepticism, but once people try it they keep coming back, which proves it is effective," Mr Jonsen said. "It's not expensive a container of Environmental Air Solutions which incorporates Mother Nature's own antiseptic costs less than $20 to immunise an average-size bedroom against mould and bacteria for one month." DELIVERY: Usually ships within 3 days from processing your order. Plus please allow the appropriate postal delivery time for your area. 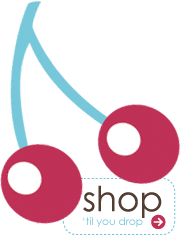 DISTRIBUTION: Stix & Stones Baby is proud to have been awarded Distributor Rights for this range of products. If you are business also interested in this product, please apply via our wholesale page (we will be offering these products both via an drop-shipping direct basis or bulk-buy basis). Bigger commercial sizes are also available. We have spent the past 12 months testing the products before proceeding with the Distributor Rights, in our own home in numerous creative ways, and have been very pleased and often totally surprised at the results both in cleaning properties and to our overall family health and well-being. All images and text is copyright by Stix & Stones Baby.